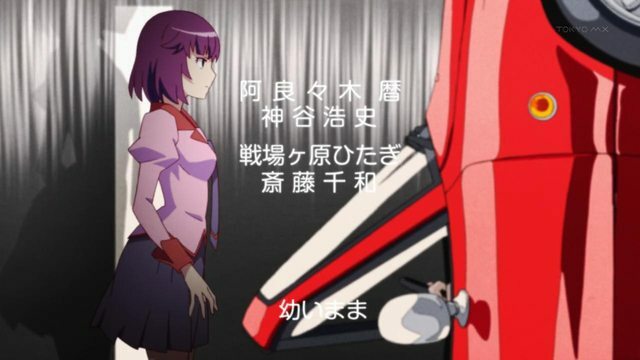 The final OP for Monogatari Series Second Season (the Koimonogatari OP) is sort of an 80s-throwback sort of deal, with all the hallmarks of old anime styling - funky "lens flares", those old-school clouds, a song reminiscent of 80s-era pop, captioned lyrics - the works. One particularly interesting feature of the OP is that it credits KAMIYA Hiroshi and SAITOU Chiwa as the voice actors of Koyomi and Hitagi, respectively. 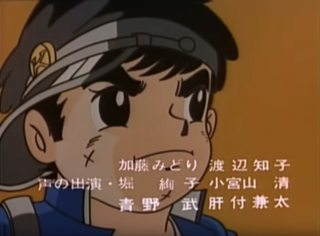 No TV anime from the past two or three years that I have watched has (to the best of my recollection) credited a voice actor in the opening credits. The opening credits typically seem to be reserved for producers, directors, original creators, and people like that. 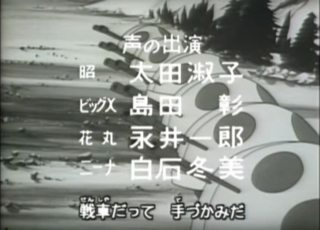 Voice actors are, of course, credited in the ending credits, usually towards the beginning. 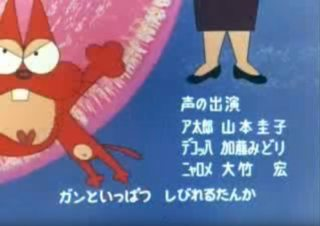 And so, the question: Was it more common back in, say, the 80s or thereabouts for voice actors to be credited in anime opening credits (in place of or in addition to the ending credits)? It's uncommon, but it's not that rare. It's often to have 2 credits scene for movies, TV programs, etc. : opening & ending. The general rule is, opening credits the studio, main performers, producer, supervisor, writer, etc., and ending credits all of the staffs. 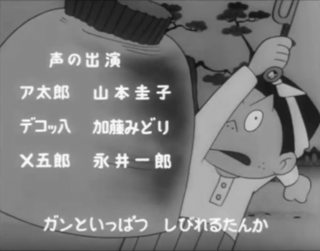 In Japanese TV dramas, it's common to have the opening shown all the credit and omitted the ending in the 60's. However, in 70's and 80's, the credits started to split to opening with important credits, and ending with the rest. In 90's and later, it became common for the opening to only show the title, and the ending plays the theme song while listing all the credits. Note: 声の出演 is the same as CV (Character Voice). The Term Character Voice(CV) has been commonly used since the 1980s by such Japanese anime magazines as Animec and Newtype, for a voice actor associated with a particular anime or game character. "Some voice actors — especially certain voice actresses — often have devoted international fan-clubs. Some fans may watch a show merely to hear a particular voice actor." 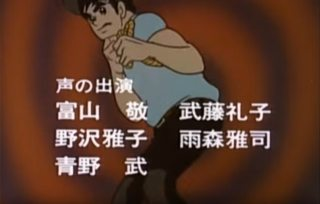 "Was it more common back in, say, the 80s or thereabouts for voice actors to be credited in anime opening credits"
May be true. But I didn't found anything to confirm it. But in the particular case of that opening I think that it was just some kind of joke, if I remember well on that opening the main characters that appeared were Hitagi and Kaiki, but not Koyomi. Also the opening itself just don't fit with the anime style. I hope my answer was useful to you. Not the answer you're looking for? Browse other questions tagged anime-history theme-song monogatari-series or ask your own question.